Browsing the greeting card aisle at your local store to find the perfect card can be a hit or miss proposition, especially if it's a holiday and you're on the late side of buying a card. And that's just the beginning. After selecting the card, you still need to fill it out, put a stamp on it–if you have stamps–and pop it in the mail. Fortunately, there are a number of great sites online that take the hassle out of finding and sending the perfect card. 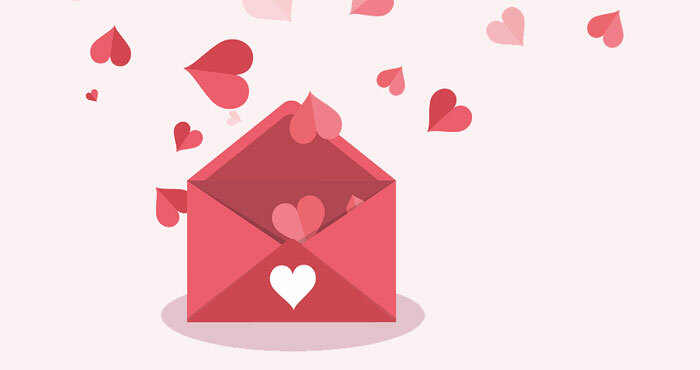 Whether you want to send an ecard by email or by postal mail, or use your home printer for hand delivery, these sites cut out the legwork and let you focus on what you're trying to say—rather than remembering where you put that book of stamps. 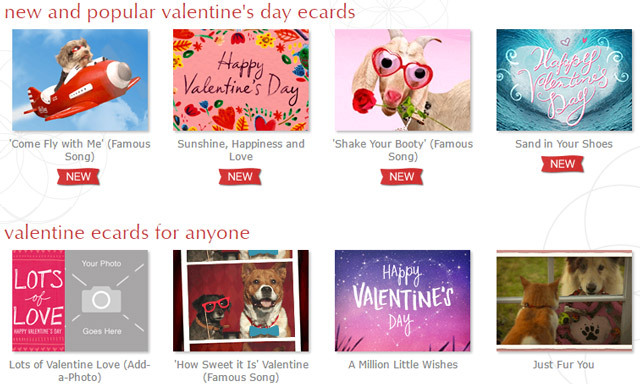 You're probably familiar with American Greetings from their paper greeting cards, but they also have a great website. They have lots of options: many of which include sound, animation or video. And if you have a more DIY attitude, you can select cards which you can personalize and print from your home printer. Despite some high-tech features, these are pretty traditional greeting cards: don't expect to find anything you wouldn't see on the shelves at Hallmark. Membership is required to send cards and starts at $4.99 for a single month or as little as $1.25 per month if you sign up for three years. Benefits include unlimited cards, card scheduling for up to a year in advance, address book, digital delivery via email or Facebook and the ability to attach a gift or gift card to your ecard. Watch out, because Some eCards are ecards with attitude, some of which carry an R rating. Their sarcastic slogans and simple art are popular online and you'll frequently find them shared on social sites like Facebook. If your recipient has the right attitude, these free, funny ecards may be just the thing—but we wouldn't recommend sending them to your mother. At least not unless your mother has a very peculiar sense of humor. If you want a printed card—or a coffee mug—with one of Someecards slogans, you can also buy a variety of physical goods for a variety of costs, shipped directly to you. Imagine the surprise when you send a friend a paper copy of a digital card! Though Punchbowl's cards are all digital, they have the aesthetic of mailed cards—even including envelopes and stamps with your virtual card. They're easy to customize with almost every aspect of the card editable: so you can add your own photos, change the text, switch the pattern of the envelope liner or even change the design of the stamp on the envelope. And if you want to give a little more than a card, it's easy to add a digital gift card as well to retailers like Amazon, Sephora, Home Depot, Zappos, and Hotels.com. The downside? The cards have ads, unless you subscribe to the premium service for $3.99 per month. The service includes 500 premium cards and the ability to schedule delivery of your ecards. Paperless Post—which offers both ecards and printed cards, and so is not entirely paperless—offers highly customized cards with the ability to tweak cards to perfection by adding your own text and images. 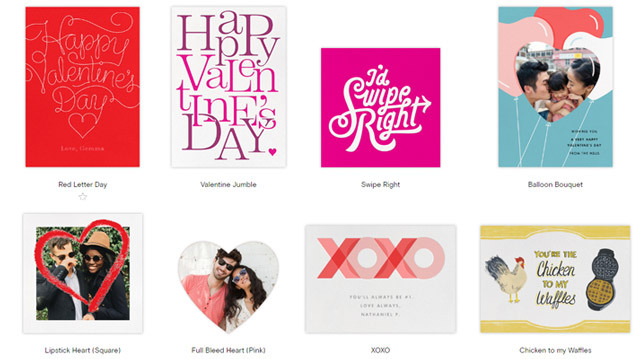 But we've seen these features elsewhere: where Paperless post sets itself apart with stylish, not-just-another-greeting-card designs from Kate Spade and The New Yorker. 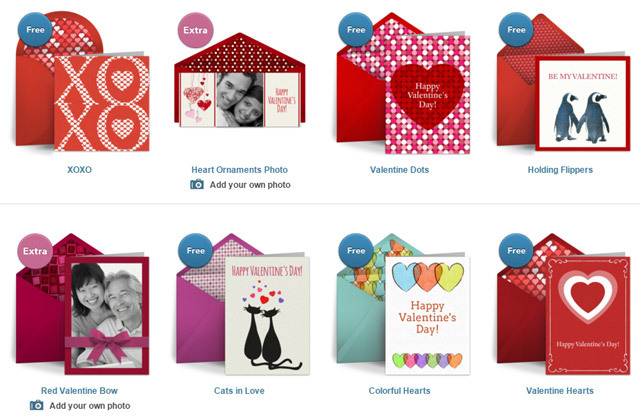 And in addition to the style value, cards from Paperless are fairly economical: starting at the easy to buy price of free for many of their digital ecards, it's hard to say no. Paperless Post doesn't offer paper cards anymore, but they have partnered with partnered with Paper Source to make some Paperless Post designs available for printing. 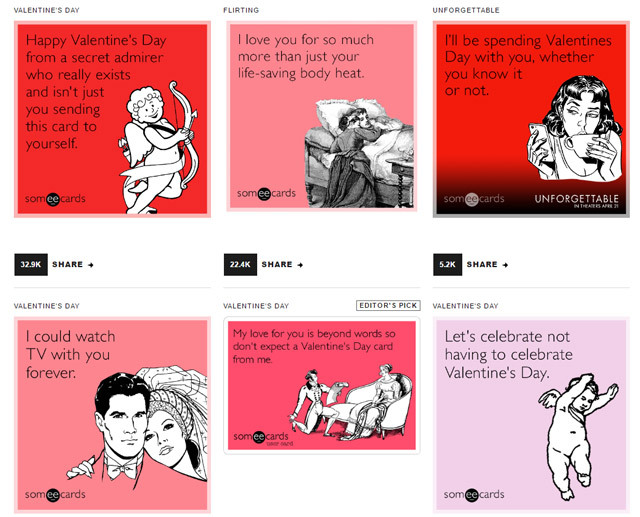 As you can see, there's a card somewhere for every occasion and every budget. One of these card sellers will help hook you up with the perfect card! You should also include Care2.com ecards. It also generates donations to charities. There is also Riversongs, 123 Greetings, Crosscards and Lutheransonline for ecards. Crosscards and Lutheransonline are religious. I am a intern trying to do research for the greeting card industry. If you could answer a few questions and you can just reply by email. 1). There are lots of card companies out there so what dictates your choice in a particular business. 2). Is there a better way that card companies can better meet your needs. 3). What kind of services do you wish greeting card companies offered? 4). Is there anything that Minted and other companies can do better to meet your needs? 5). What are some of your greeting card needs that you possibly look for, especially with your wedding cards? I just was following us on your review and if you have time to answer the survey questions I sent you that would be great. For the most elegant,creative, classy e-cards on the internet—at a very, very modest fee—try Jacquie Lawson. She is an English artist who has created cards with beautiful graphics, great musical accompaniment and sometimes fun puzzles or explanations of the history and/or background of the card. If you explore this site, see if you can view the Thanksgiving Turkey and/or the Christmas Luminaries. Yep, I’ve not found any to beat Jacquie Lawson cards. It’s a very cheap annual fee and you can send as many cards as you want and can schedule at the start of the year for everyone. A best buy. Leimation.com out of Hawaii makes beautiful, original animated Ecards and Evites. They are like nothing else online. I agree with VM: absolutely Jacquie Lawson. Some cards are better than others, but they are unsurpassed for whimsy and creativity, at a modest annual fee. They also produce a wonderful Advent Calendar annually. Had Membership for years , friend of a friends company. After years, with no fresh animation, content, or advanced music midi’s, well, it has just become boring. Didn’t renew my membership for 2017. In January, 2017, I canceled a 10-year membership at Jacquie Lawson after my husband got an email solicitation from them. I made inquiries (opened a trouble ticket) and they tried to explain it away (as if I was confusing it with the small link at the bottom of ecard notifications, etc.) but finally admitted it was a “suggestion/invitation to join our site.” I call that spam. He uses the email account very little but it was in my Lawson address book. I didn’t pay an annual fee for them to use my address book as a source to solicit new members. We use a service called WhinQ. They do automated greetings that I don’t have to remember to send out. It all happens automatically for each holiday or occasion. Beware of Blue Mountain!! Check out their 1.5 star rating with Google. So sorry I ever signed up with them. Atrocious service. Thank you for flagging this Elizabeth. Upon further investigation, we have removed Blue Mountain from our list of recommended sites. I have used American Greetings for 2 years but would not recommend them for the cookies they make one accept to view their ecards and the fact that half the time I try to send a card via Facebook, they say it is not working and to come back later. After several complanints over the years, they have never responded to my emails or “contact us” posts. Bad customer service. I LOVE Jacquie Lawson cards..the only thing I have a problem with is the “Reply” option. Many people just want to receive the card..and not reply..at least that is my experience. I feel that without that it would be flawless as an e-card option! Loved there site until recently. Use to be able to easily delete your contact list and upload a new one with a CSV file, not longer. They also use to have great gift cards you could attach to your cards and it went away, I think they may have brought them back. I was trying to send out ecards for holiday and it is just too cumberson now. Have to individually add or delete a contact, dont have time for that!. Cards are not as good as they use to be. I seem to keep using older versions.